I have several sets of photos from Joe Dickinson, but this batch just arrived (the others are on my computer in Chicago) and I have a few minutes to post. Joe calls this set “seals and squirrels,” but I would add a subtitle: “Nature’s Pugnacity.” His captions are indented. We recently spent a few days down the coast in Cambria. 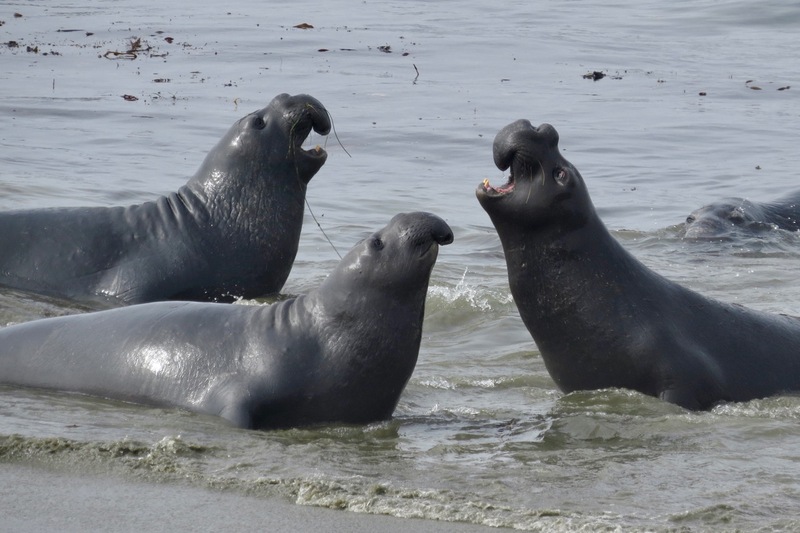 As usual, we checked the nearby Northern elephant seal rookery. 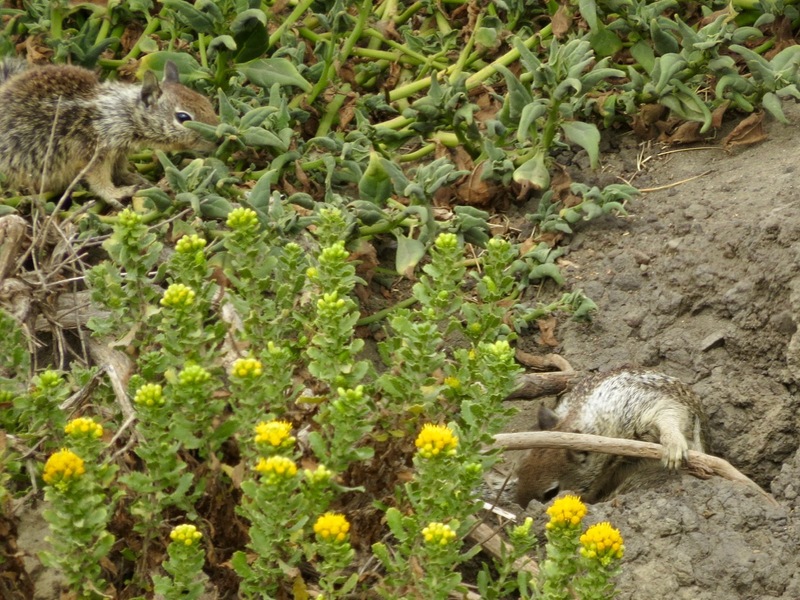 It turned out that the real action was on an embankment above the beach, where two California ground squirrels (Otospermophilus beecheyi) were seriously duking it out. I know you are a Sciuridophile so I thought you might find these amusing. Some parts are blurry thanks to fast action. 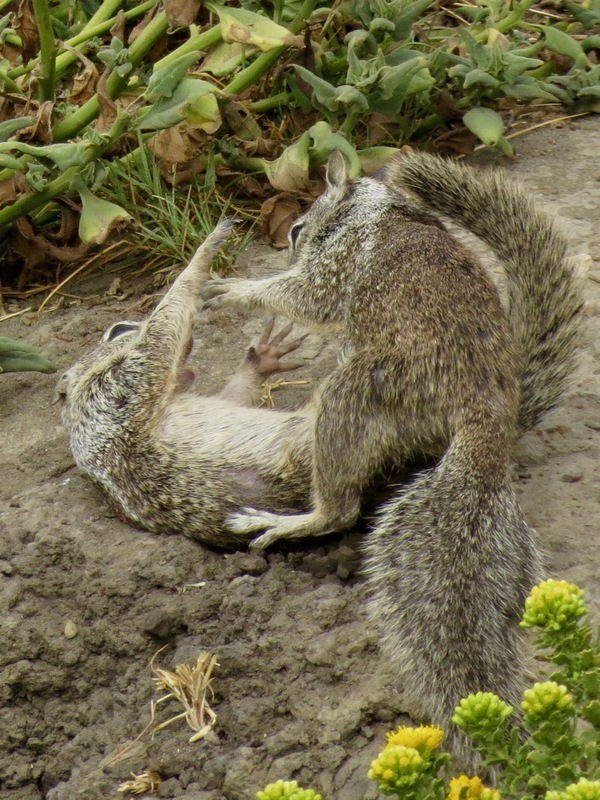 My wife saw a third squirrel nearby while I was busy with the camera and suggests the conflict was about a potential mate. Alternatively, I suppose they could have been contesting ownership of the burrow that one of them is occupying, at least temporarily, in the this shot. 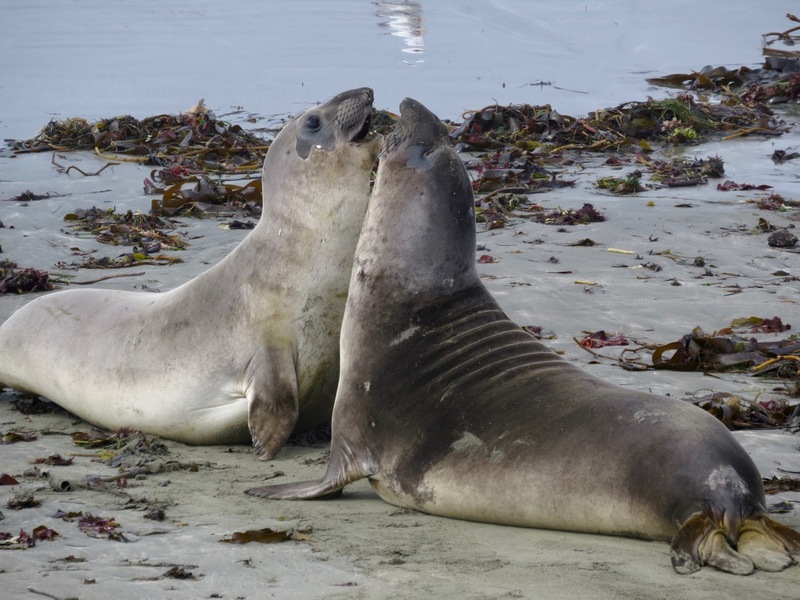 This being the season for molting, not mating, there was not much going on with the seals (Mirounga angustirostris), just some sub-adult males having half-hearted shoving matches accompanied by much huffing and puffing. 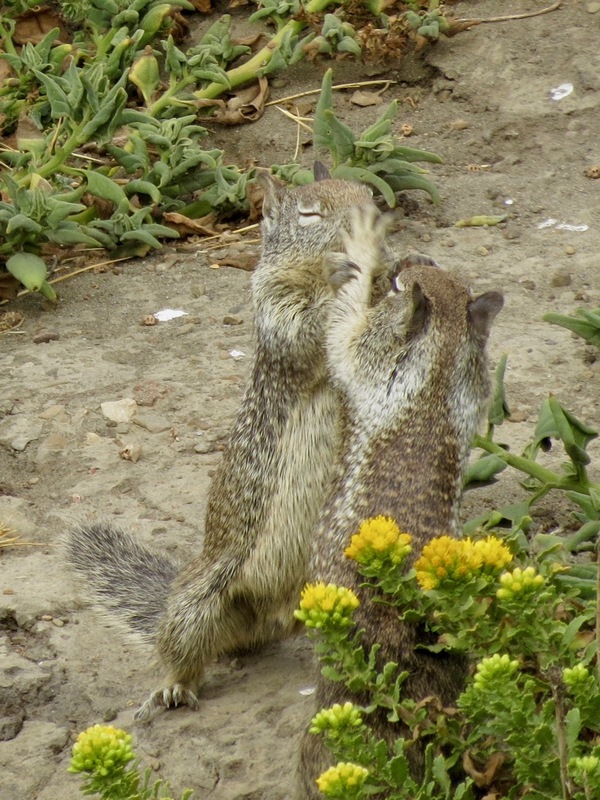 Finally, here are a couple of shots of squirrels behaving as they should, just looking cute. This entry was written by whyevolutionistrue and posted on August 19, 2018 at 8:00 am and filed under mammals, photography. Bookmark the permalink. Follow any comments here with the RSS feed for this post. Both comments and trackbacks are currently closed. 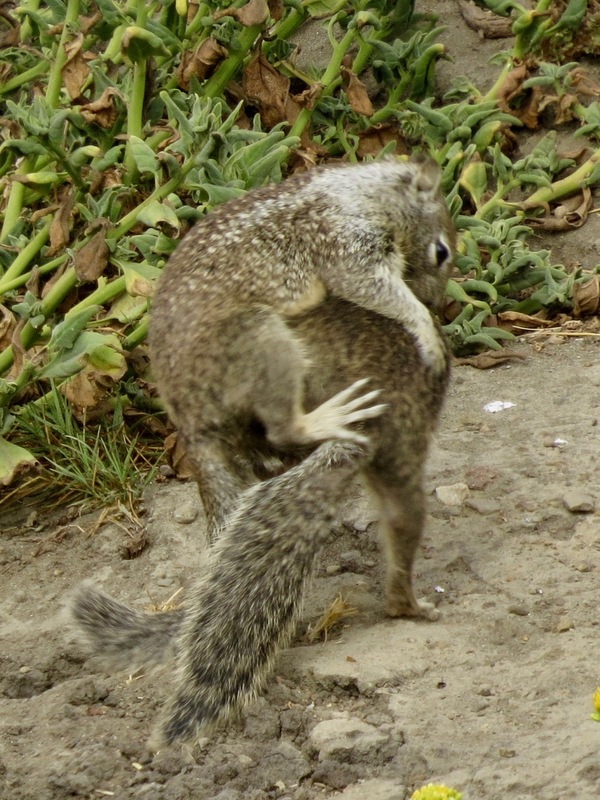 I love the stills of the battling squirrels; better than a wrestling match. 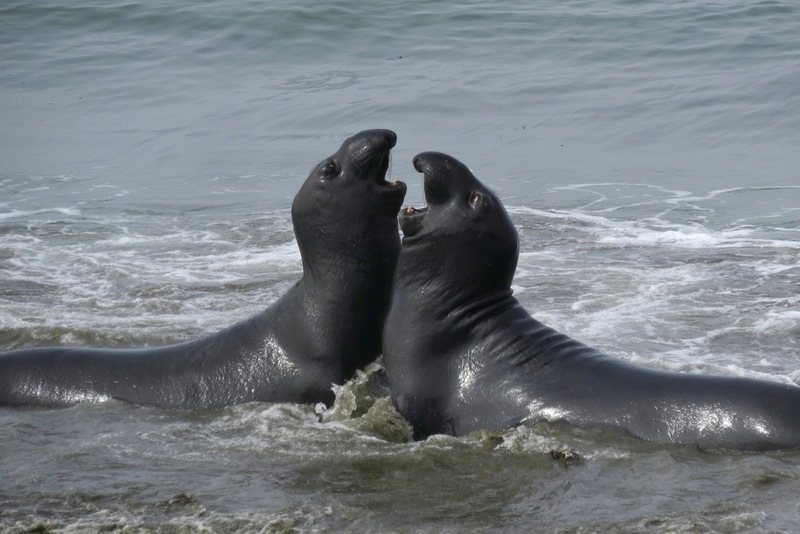 Also the elephant seals, they look like they’re engaging in impromptu doo-wop sessions or some kind of close harmony singing, and I’m sure it is. Always a pleasure to see the wildlife photos, videos and the WEIT daily post while having my morning coffee. 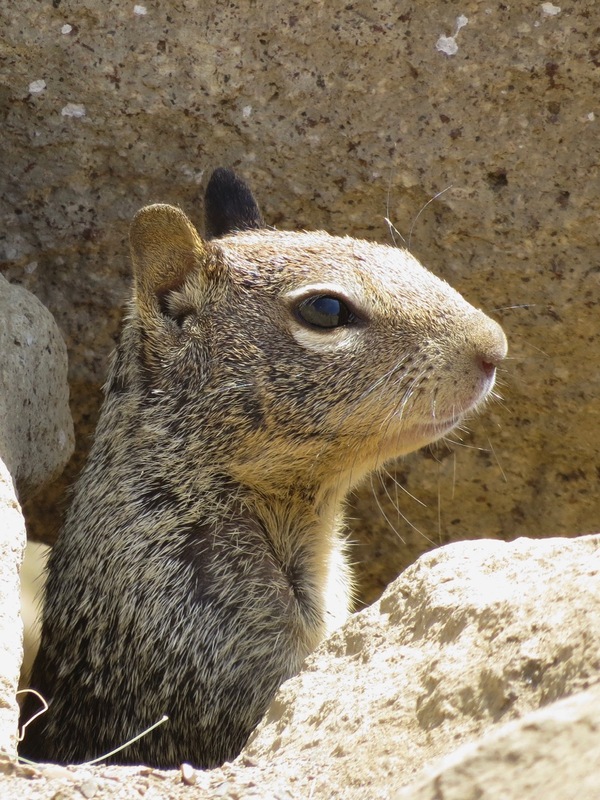 Love watching ground squirrels. I watch them on my bike rides in Seal Beach, CA and vicinity. 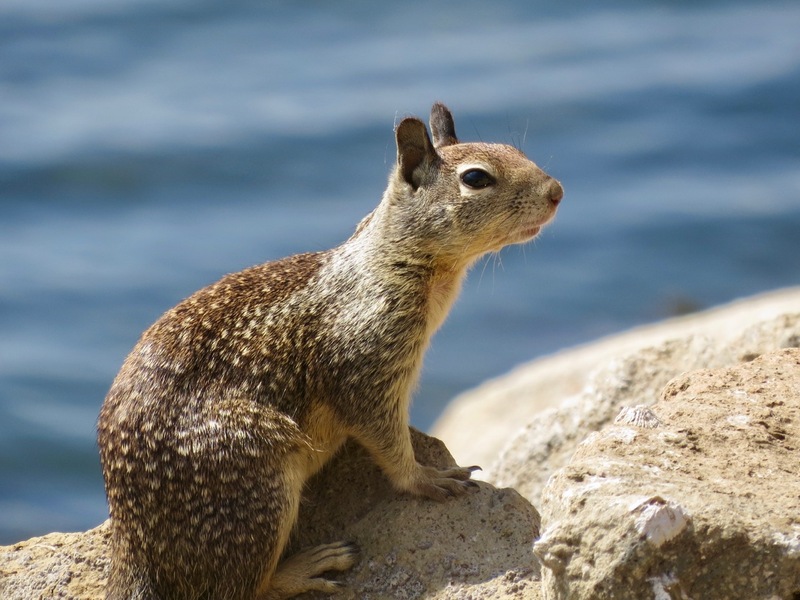 They have interesting behavior that seems to parallel that of prairie dogs, which I watched on my bike rides around Boulder, CO where I lived for three years. 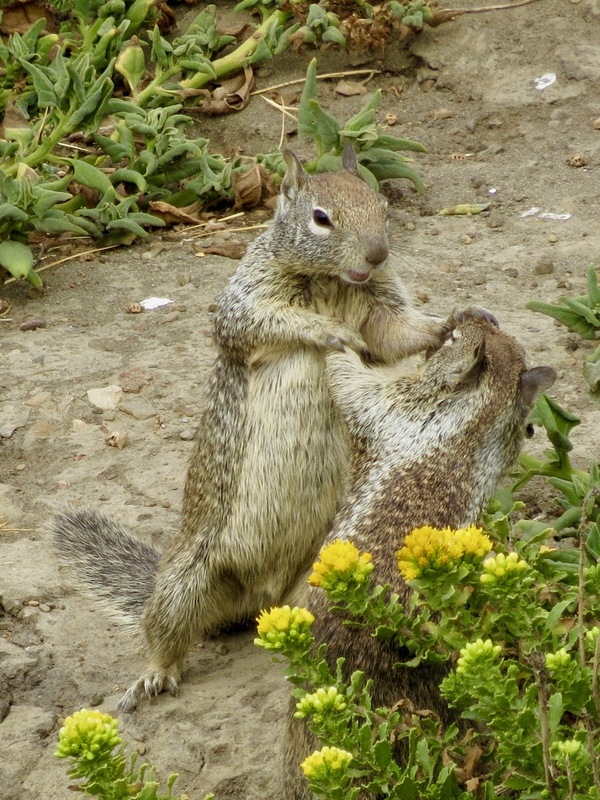 Wow, we have a lot of squirrel activity in our yard but I have never seen an actual fight. Yeah, I’ve seen them chase each other all over the place, but never before actual combat.